You probably have to deal with at least dozen bills every month. Tracking them and paying them can be a chore if you don’t have automatic payment enabled. If you are one of those people who like to be on top of all the spending you and your family makes, Mobikwik yearns to make your life a lot better. The Mobikwik Android app enables you to pay/recharge/top-up the various services you use in day to day life. You get to do this from a single app. You can recharge your prepaid card, pay your electricity, landline, insurance and gas bills. You can also pay your postpaid phone bills, recharge your data card and DTH. It’s fast. Let’s take recharging your Tata Sky DTH as an example. when you do it online, you have to go to the website, log in., go to the recharge section, enter the amount and then the credit card details. 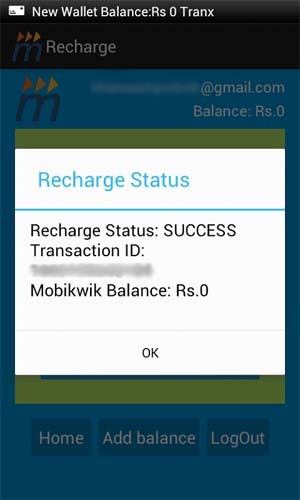 How it works with Mobikwik? You first add money to the wallet. In this testing I charged my Mobikwik account with Rs 150. If you know the approximate amount of money you spend on bills every month, recharging once a month will be enough. 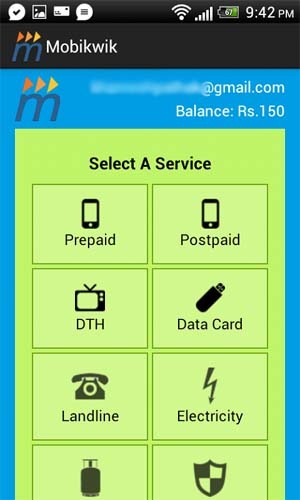 After adding the balance, select the DTH service, add the viewer No., amount of recharge and then hit Pay. That’s it. 5 seconds later you get the confirmation message with the transaction ID.In this testing I saved 1 or 2 steps when compared to the online recharge. Which might not sound like a lot but if you use this to pay 6-7 bills, the time saved by not having to log in to different sites and entering the credit card details every time, is substantial. The only way to recharge any of your services is from Mobikwik’s balance. There is no option to pay directly with the help of a Credit/Debit card. This can be a little annoying if you just want to use it one time with one service as opposed to 6-7 services we talked about above. Most of the services are available here. But the coverage of Life insurance and gas bill is too limited. We would certainly like more areas and providers added to the list over time. For a list of all the supported services, visit their Website. The interface isn’t the prettiest to look at. In this era where a lot of developers are embracing the beautiful and minimalistic Holo guidelines provided by Google, Mobikwik looks like something you would run on your old Nokia N96. When it comes to getting the job done, it passes with flying colors. But something more pleasing to the eyes would be appreciated. At 204KB the app is amazingly lightweight on storage and on memory. It remembers the details like Mobile No. or Viewer No. for DTH so you don’t have to enter it every time. 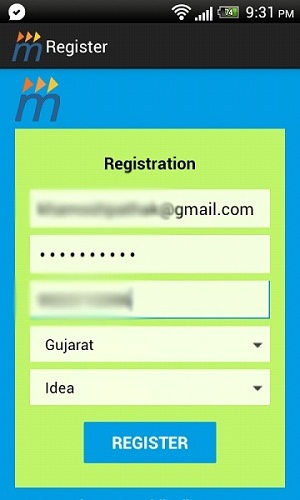 MobiKwik on Android is better that most of the online options available. But it’s not the best mobile payment application out there. 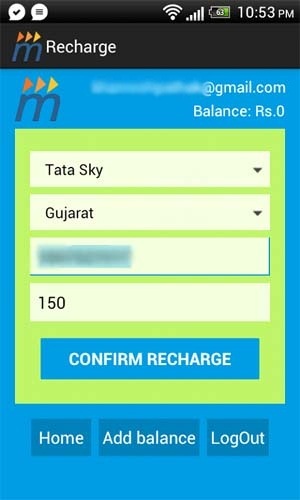 The unpleasant UI and the sole dependence on Mobikwik’s wallet as a payment option can be a turnoff for those who just want to do a quick recharge. The best way to use Mobikwik resourcefully is to get fully involved with the system. Let it manage most/all of your services and you will be amazed at the time you save every month struggling with the bills. To download it visit here.